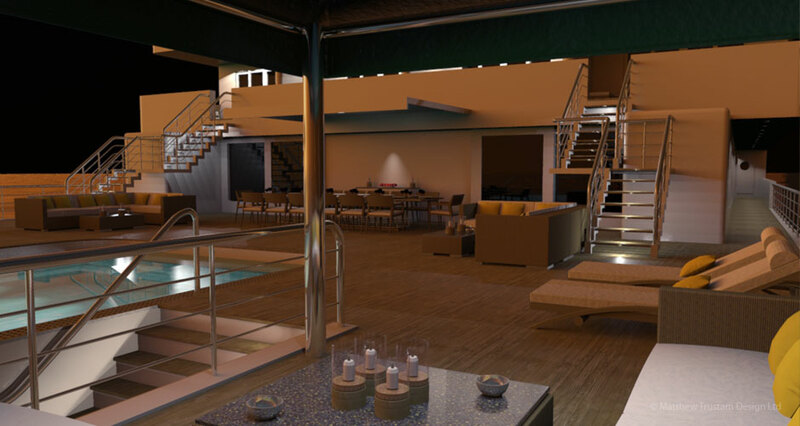 Brute’s casual contemporary interior is based on everything life at sea should be. Kick off your shoes and enjoy the casual ambience of a very modern design with an organic touch. Dine al fresco by the expansive pool, or walk into the main saloon bare foot and relax in a casual easy chair, whilst watching the sea pass by the large windows to port and starboard.